From investigating the survival skills of bacteria to probing the secrets of the galaxy, EGI brings data to scientists around the world. As 2016 draws to a close, the European Grid Infrastructure (EGI) checks in to share highlights of some of the research they've been working on this year. Iron is an essential element for life. Mammals use it to carry oxygen in red blood cells, and plants need it to transport electrons. But bacteria also need iron to infect other organisms and survive. The problem for bacteria is that animal and plant cells tend to ‘hide’ their iron inside proteins to prevent bacteria from accessing it. Rhys Grinter, a microbiologist at Monash University in Australia, investigated how Pectobacterium (responsible for blackleg disease in potatoes and slime flux in trees) sources iron from the plants it infects. 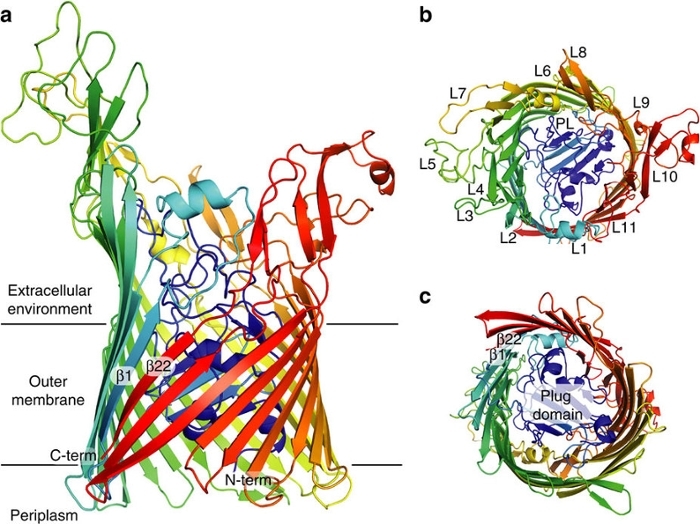 Grinter and his colleagues found that Pectobacterium cells have a glove-like receptor – dubbed FusA – specially adapted to grab the iron from ferrodoxin proteins in plant cells and squeeze them across the outer membrane of the bacteria. After determining the molecular structure of FusA from Nuclear Magnetic Resonance (NMR) and X-ray crystallography data, the team used the HADDOCK docking tool to simulate how FusA binds to plant ferredoxins. “I kind of like to think of FusA as a drawbridge on a medieval castle; it can be specifically opened and closed to allow ferredoxin to enter the cell,” says Grinter. The H.E.S.S. 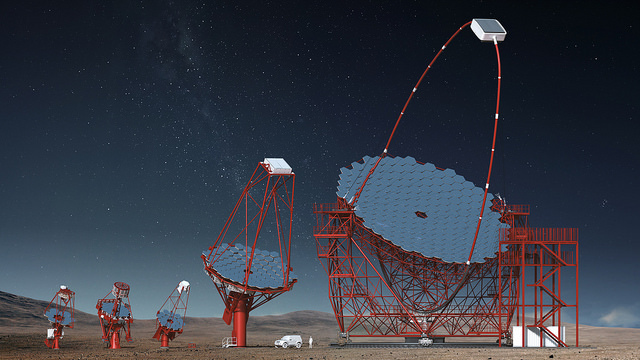 experiment (High Energy Stereoscopic System) is an array of five telescopes built in the Gamsberg Mountains of Namibia to identify the source of the high-energy cosmic rays that bombard the Earth every day and to investigate how these tiny, electrically charged particles accelerate and travel through space. Begun in 2003, the H.E.S.S. experiment has found more than 70 sources of cosmic rays, most of them pulsar wind nebulae and supernova remnants. They also discovered a Peta-Electronvolt (PeV) particle accelerator in the Milky Way – a crucial piece of the puzzle of high-energy cosmic rays. A collaboration of about 200 scientists from 43 scientific institutions across 14 countries, “H.E.S.S. is also participating in the quest for dark matter, and tries to answer fundamental questions, such as whether the speed of light is the same at all energies or not,” says Mathieu de Naurois, H.E.S.S. consortium spokesperson. Together, the researchers have published more than 100 papers, and in 2006 they won the Descartes Prize of the European Commission – the highest recognition for collaborative research. The data collected is stored in two computing centres, the CCIN2P3 in France, and the Max Planck Institut für Kernphysik in Heidelberg. At the CCIN2P3 alone, H.E.S.S. has about 2.1 PB of data stored in tape. This data by itself means very little, and the H.E.S.S. relies on Monte Carlo simulations to extract meaningful information about the properties of cosmic rays. They use two chains of ongoing simulations and one of them has been running on EGI high-throughput compute resources since 2012. The distributed computing operations of the H.E.S.S. experiment are managed by Jean-Philippe Lenain, an astrophysicist based at the Laboratory of Nuclear and High Energy Physics in Paris. The Cherenkov Telescope Array (CTA) brings together 1,350 scientists and engineers from 32 countries with the goal of building the world’s largest and most sensitive very high-energy gamma-ray observatory. 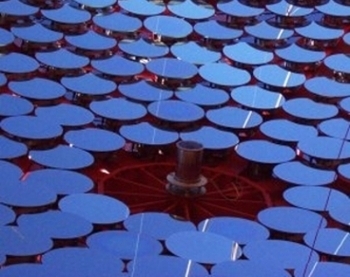 A distributed array of more than 100 telescopes in La Palma, Spain and Paranal, Chile, the CTA will be used to understand the role of high-energy particles and to search for annihilating dark matter particles. Intended as a public observatory, a fraction of the observation time will be opened to the whole scientific community. Any scientist in the world will be able to submit an observation proposal to CTA and will have access to the corresponding data, which after a proprietary period, will become public. Expected to produce up to 27 Petabytes of data per year, the CTA must transfer all this data from the telescopes to scientists across the world, archive the data, and provide enough processing power for data reduction and large-scale Monte Carlo simulations. “We need to make sure we have the capability to provide a unified and efficient access to data, which will follow the common standards of the Virtual Observatory,” explains Luisa Arrabito, the CTA computing grid technical coordinator, based at the Laboratoire Univers et Particules de Montpellier.